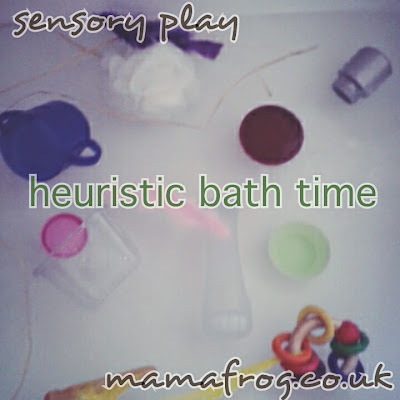 Heuristic play is the concept of using real world objects as play objects to assist your child's creative and cognitive development. We use a selection of items from one of froggys treasure basket. 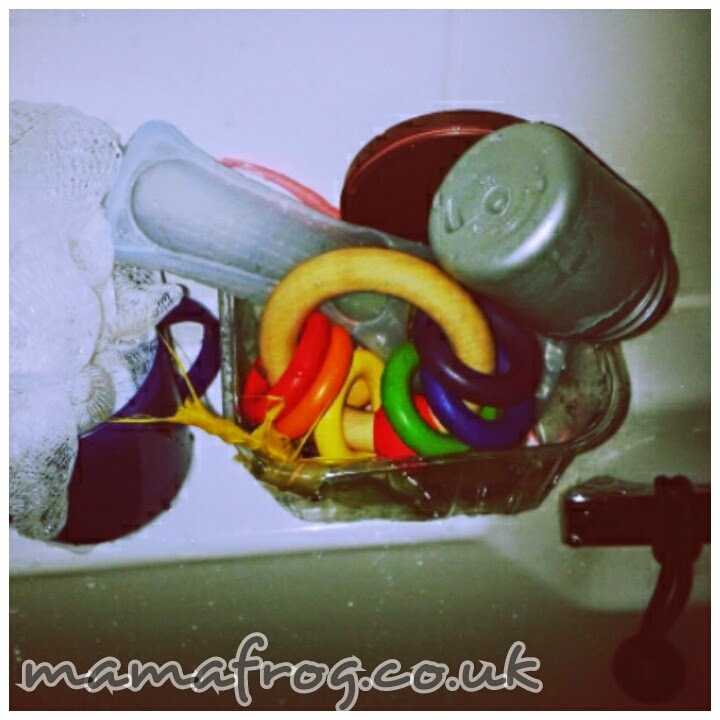 I like to provide a mix of textures so we use sponges, feathers, cups, shells, raffia , recycled tubs and a couple of wooden toys. Most of these items have been in frogs heuristic treasure basket. Adding them to water changes the way these familiar objects behave, and offers the opportunity for scientific experiments. I add essential oil to the tub, we have a lot as we make soap, which adds a nice aroma therapy element to the experience. 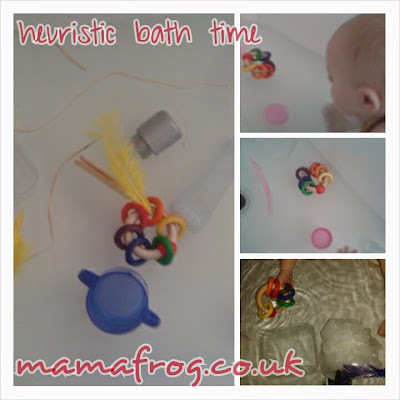 Copyright www.mamafrog.co.uk. Powered by Blogger.